Click here to see how you can join the many businesses already benefitting from exposure to between 60,000 and 120,000 unique visitors every month! There are three opportunities for you, the business customer, to reach an established readership across the Algarve and beyond. The algarvedailynews.com website developed from the newspaper Get Real which was published successfully each week for three years to November 2009. Many articles and features from Get Real were transferred to algarvedailynews.com and of course many have been added since. The community-based news and information site has been entertaining and engaging readers ever since with daily local, national and international news updates and via a weekly e-newsletter to over 6,500 opt-in readers. algarvedailynews.com attracts and entertains an English-speaking audience from across Europe with 77% living in Portugal full or part time. Readers are mainly 45-65 year old, home-owning expats, 75% have Portuguese email addresses. Readership stats go up every month: in August 2018 there were over 117,000 unique reader visits, reading an average of 5 pages in each of their 1.99 monthly visits. By comparison, in August 2017 there were 61,000 unique visitors to the site. OPTION 1. 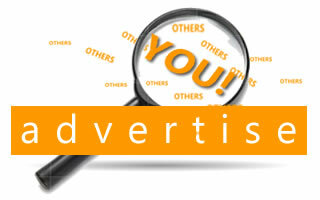 Place your company logo on a Sliding Advert at the bottom of the algarvedailynews.com webpages. This space is limited to 30 ads at any one time on the loop. The adverts are randomised so every time a page is changed or refreshed, the display order changes, meaning each ad has good and equal readership exposure. From your ad, readers can click straight through to your website. OPTION 2. Another opportunity is to book one of the three Premium Static ad spaces at the top of the page. This ad remains on each page throughout the site and enables readers to click through to your website. There is a waiting list for this space, please ask for details. OPTION 3. FOR PROPERTY ADVERTISERS there are additional 'sliding ad' spaces on the Property section giving Estate Agents and property-related companies access to a segment of readers that clearly are interested in property. All three advertising options have a link through to your company website. Our technology enables a click count to be recorded to see how your ad is doing. Advertisers will get a free mention in the weekly e-newsletter to around 6,500 opt-in readers. Advertisers can also make use of our effective free Press Release service in both the ‘Features’ and ‘Community News’ sections as appropriate. We want the site to be fun and filled with movement and colour, so have kept the advertising costs to an affordable level. For 6 month and annual advertising periods, discounts apply. we will invoice you and place the ad on algarvedailynews.com when payment is cleared. You can pay online via PayPal Invoicing, or by bank transfer in euros or sterling. If you would like to advertise with algarvedailynews.com but you don't have a suitable advert available, we offer an in-house Design Service. Our specialists can use your existing logo/image, perhaps from your website, as a basis for your advert or can create something from scratch. The charge is just €25 for a static advert, or €35 for an animated GIF. If your business doesn’t have a logo, or perhaps needs a ’logo renovation’ we will create a unique, eye-catching design according to your requirements. - 2 Initial design concepts for you to choose from. - 2 Revisions of your chosen design to get it exactly how you want it. - Your logo in 4 different sizes, in JPG format suitable for use on the Web (2 sizes), Business Cards and as an A4 Letterhead. - The editable original file in PNG format. Your final logo images can be provided either via email or on a CD, whichever you prefer. We charge €99 for this package, and payment is required on commencement of the project. The algarvedailynews.com Press Release service is the ideal platform to promote your news, events, shows, awards, seminars, exhibitions or just to report on how these events were celebrated. With visits from 117,000 readers (August 2018) each month algarvedailynews.com is the perfect place for you to get noticed and to get your message across to the expat and English speaking community. This is a FREE service available to Portugal-based, especially Algarve-based, Advertisers, Charities, Animal Shelters, Support Groups, Schools, Churches, Community Projects, Fitness and Sports Groups, and Social Clubs. Your Press Release will be published within the Community News section on our Home page for a limited period, usually a week, and will then move to either the What's Happening, Charity or Business page of the main Community News section. Press Releases that run their course then will be removed, and those that are of ongoing interest will be published to our Features section, giving you the ability to link/refer to your information at anytime in your own publicity material. Using pictures, logos and photographs will enhance your Press Release, we allow 1 logo and 2 photos per Press Release and will also include your contact details and one weblink. For further information, and to submit your press release, please email press@algarvedailynews.com ...and let us do the rest! All Press Releases are moderated so please allow a couple of days for publication. algarvedailynews.com invites readers to express opinions and engage in discussions with one another by leaving comments on news items. Please follow these guidelines to ensure a welcoming environment for all readers. We review comments and reserve the right to remove or edit content before or after posting. 1. Respect one another. Please refrain from posting offensive, obscene, threatening or abusive comments. If you personally attack other readers or writers, your comment and responses to those comments may be removed from the discussion. Attacks create a hostile environment that discourages discussion. You are fully responsible for libelous or defamatory comments. 3. Keep your language in check. Obscenities often will prevent a comment from being posted. Those writing in CAPITALS will not be posted, whatever the content. 5. Don't impersonate someone else or otherwise mislead as to the origin of your comments. If we believe you've impersonated someone else, we reserve the right to remove the comment. 6. Spam and commercial content will be removed. We do not welcome comments containing copy used for commercial purposes or for soliciting funds. 7. Stop and think before you comment. We won't remove comments because a reader or writer regrets a post. Please remember that these comments are searchable and a comment history has a long life on the web. 8. Don't include personal information in your comments. We strongly discourage readers from posting personal information about themselves and reserve the right to remove any comments we find with personal information about other people or that violates a third party's right to privacy. 9. Repeated abuse of our guidelines will lead to commenting privileges being suspended. If you think you've been banned by mistake, let us know.